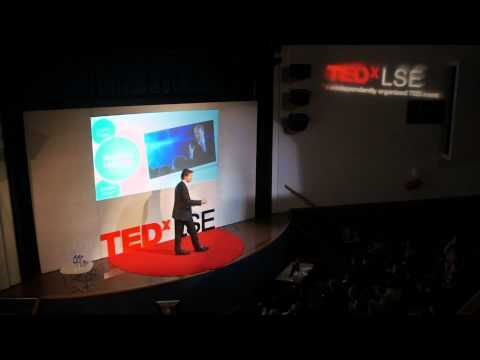 Dr. Busch’s research focuses on business model innovation, entrepreneurship, social impact, and social networks, and he teaches several MSc and executive education courses at LSE. He served as inaugural Deputy Director at the LSE’s Innovation Centre, and is co-founder of Sandbox Network, the leading community of young innovators active in over 20 countries. He co-founded Leaders on Purpose, an organization convening high-impact leaders. He is among the Thinkers 50 ‘top upcoming management thinkers’; Diplomatic Courier’s ‘Top 99 Influencers’; The Economist’s ‘Ideas People’; JCI’s ‘Ten Outstanding Persons’; a TEDster; a ‘Key Influencer’ (Siemens); an ‘Institute for the World Economy Global Fellow’; the ‘Davos 50’; and a Fellow of the Royal Society of Arts (RSA). He frequently speaks at conferences such as the World Economic Forum (WEF), TED, and Financial Times Sustainability Summit, and his ideas have been featured by outlets such as Harvard Business Review, The Economist, and the UN. His presentations and workshops at companies such as Dell and Danone have reached millions of people. He previously worked in business in Kenya, South Africa, Mexico, Russia, Germany, the US, and has served as Senior Advisor at the National Entrepreneurs Association and at multinational companies, on Ashoka’s Selection Panel, and on the Jury of the African Entrepreneurship Award. He is part of the WEF’s Expert Forum, has lectured at Stanford, ESADE, Peking University, and Strathmore, and his work has been published by journals such as IJEV & featured by The Guardian, WIRED, Academy of Management Journal, among others. In 2016, he received the ‘Best Paper Award’ (Entrepreneurship) of Emerald Publishing, and the ‘Best Social Entrepreneurship Paper Award’ of the Academy of Management. His upcoming book “Serendipity Factor” (Penguin, 2020) has been a finalist for the Financial Times / McKinsey Bracken Bower Prize for “best business book of young author”. He holds a PhD (LSE: Management, entrepreneurship), MSc (LSE: Management), B.A. (Hagen: Sociology, psychology) & B.B.A. (Furtwangen & Moscow Business School: Business). Twitter: @ChrisLSE. Christian delivers speeches, presentations, and workshops/master classes for and at multinationals and conferences around the world.